Superdry men's Super wash bag. You'll need to freshen up after a session in the gym, and the Super wash bag is ideal for holding all your grooming essentials. 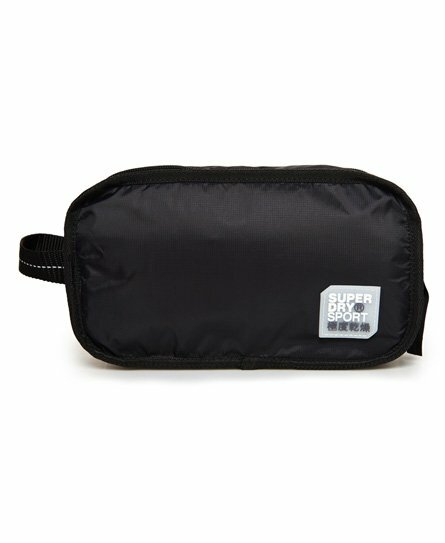 With two zipped main compartments separated by a mesh divider and inner pouch pockets, the wash bag also features a zipped outer pocket and it's finished with a Superdry Sport logo badge on the outside.